Are Google's game console and Nexus Q the same thing: a Nexus TV? Last night, a story broke from The Wall Street Journal that Google was working towards expanding its hardware portfolio by building a game console, a smart watch, and a new version of the Nexus Q. The smart watch makes sense, because that is not only a segment where competition is aiming, but because a smart watch makes logical sense for the future of Android, Google products, and an alternative to Glass. The trouble I have is with the ideas of a game console and a new version of the Nexus Q, which makes little sense given how little support Google has put towards Google TV, which could easily integrate both functions, and Google has already hinted at plans to do just that. Undoubtedly, my feelings on this are directly related to the fact that just yesterday, I picked up a Hisense Pulse Google TV, and of course a couple days ago the final version of the OUYA software hit my early adopter version of that system. Having played around with the OUYA for a while, I can say that the idea of an Android-based game console is a very compelling one; but, the key to the equation there is access to the Google Play Store. If I've already purchased The Bard's Tale and other games for my phone or tablet, the idea of dropping another $5-6 on the OUYA version seems absurd. But, that's a specific issue with the OUYA, not with Android game consoles in general. Or at least, it wouldn't be an issue with a game console directly released by Google, which would undoubtedly have the Google Play Store, and all of my previous game purchases coming with it. If the controller was a bit more responsive than the OUYA, and there were Google Apps on an Android-powered game console, the idea works beautifully. Not all games are meant to be played on a smaller screen in short bursts. Some games demand a living room/big TV experience. Android might be a bit shorter on those sorts of titles than iOS, but Android is catching up fast. Rockstar is continuing to support Android with mobile versions of Grand Theft Auto games, Square Enix has Final Fantasy on the platform, plus the recent big movie tie-in games like Dark Knight Rises. Gaming is viable on Android, and could certainly use a TV-centered experience, but I'm not sold that Google needs a separate gaming box. The Nexus Q was a good idea that was torpedoed by a high price tag, and almost no customer interest (which may have been mostly attributed to the price tag as well.) The idea was simple: a media receiver that could be controlled with your phone, and it could be used in a social way because anyone on your network could add music to the playlist. The Q was designed to be a media hub, but it failed because it launched at $299 in a market where similar devices cost around $99. A bit part of that cost was because Google decided to build in a 25-watt amplifier, while ignoring that anyone who would be in the market for such a device would likely have a full sound system with amps, and not just a random set of speakers that would be hooked up to the device. Basically, the point is that an Android game console and the Nexus Q have pieces of a good idea, but haven't been done right yet. That's likely why the news has come out that Google is working on the problem itself. The trouble I have is that Google already has a product that can address both of these problems, but has been ignoring it: Google TV. Sure, there have been a couple of new Google TV devices released recently, and an extremely minor upgrade to the Sony Google TV buddy box is due out next week, but overall the platform has been left adrift by Google. The most troubling evidence of this: after giving away Google TV boxes at last year's Google I/O, the platform wasn't even mentioned during this year's keynote, and there was just one singular developer session to cover the platform. Just after the I/O keynote, Google did announce an update to Google TV (which is still based on Honeycomb (not a joke)), but the update to Jelly Bean 4.2.2 with the newest version of Chrome was said to come out "in the coming months". That's a fairly nebulous release window, but that basically sounds like Google TV will get 4.2.2 sometime after Nexus devices start getting Android 4.3, and just a couple months before Android 5.0 is expected to be released this fall. Google has also promised a faster update cycle for Google TV, which is very welcome news, because it had been falling well behind. This update alone will jump the API level from 13 to 17, and Chrome from version 11 to version 28. I've played with Google TV for a day now, and while there are glaring limitations in the platform, there is also a lot of potential. Some of the limitations come from the old software, some with a lack of support (both by developers and the web community which would usually fill in troubleshooting, etc), and some of the limitations are actually just Google trying to do too much with the platform. If Google TV was a straight competitor to Roku and Apple TV, it wouldn't be so bad, but Google wants to integrate GTV with your set-top box. The problem there is that only DISH allows Google TV to actually control the set-top box. This could be fixed with the update, because Google is opening up the development process to allow anyone to build drivers for set-top boxes and release them as APKs in the Play Store. Fingers crossed that will finally allow Google TV to work with my Verizon FiOS box. But, the potential of the platform is still there. As Sony and Microsoft have proven, gaming systems can also be media hubs for your TV, and it certainly looks as though Apple is hoping that a media hub device like the Apple TV can make the same connection coming from the other side; so, why couldn't Google TV do the same thing? On the media consumption side, YouTube is already the shining star of the Google TV ecosystem and allows anyone connected to your network to add videos to a playlist, just like the Nexus Q. Even Google Play Music, while a bit awkward to control with a remote, works very well on Google TV, and would simply need the social features added in an update in order to match the Nexus Q's functionality. Google Play TV & Movies is a solid app that offers a ton of content. 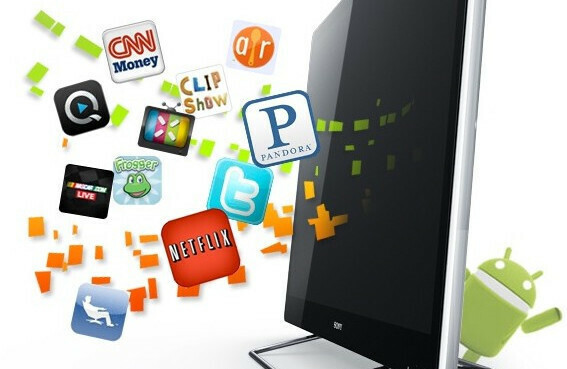 And, there are the various other media apps available like Amazon Instant Streaming, HBO Go, and Plex, with the notably missing option from Hulu Plus. All Google TV would need to do is beef up the hardware (something Nexus products are known for) and push harder on gaming. 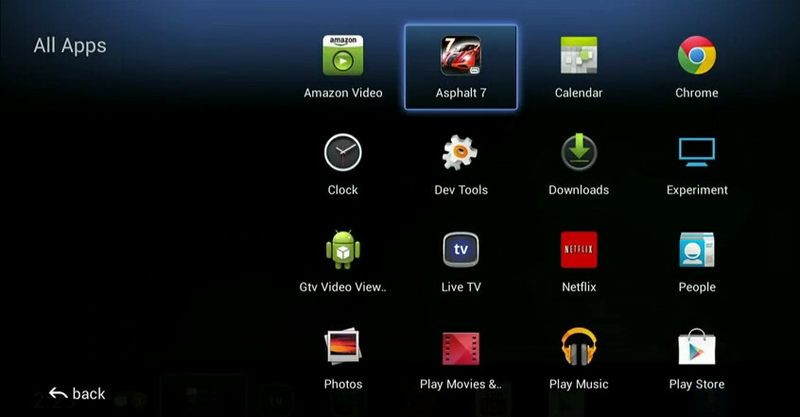 If you missed that developer session during I/O (as most did), Google specifically pointed out that games are a key to Google TV, even showing off Asphalt 7 running on the newest version of the software. So, gaming is possible on the platform, and should be coming soon with the Jelly Bean software update. The troubles are in getting developers to bring games over to the platform, as well as offering users an easy way to interact with the games. We've already seen that Apple is working on a standardized controller for iOS devices that could easily become the controller should the Apple TV become a game console. Google has been working on alternative methods. Unfortunately, the best option for a controller could be a Bluetooth add-on, but for that option would require an entirely new set of hardware, because Google TV boxes do not support Bluetooth devices right now (unless the remote happens to be Bluetooth). Over the past few months, Google has released a few different Chrome experiments that show possible solutions to game interaction with your mobile device. The most directly relevant is the experiment which turned any website into a Super Monkey Ball-style maze, and users could control the action with the accelerometer on their smartphone. This worked through HTML5 in the browser, and didn't even require that the two interacting devices be on the same network. This method is especially interesting because it wouldn't require an app to control a game, so any smartphone with a competent browser would be able to hook in. No doubt, Google would still build dedicated GTV game controller apps for Android and iOS, but using this method would also let Windows Phone and BlackBerry 10 users get in the fun. 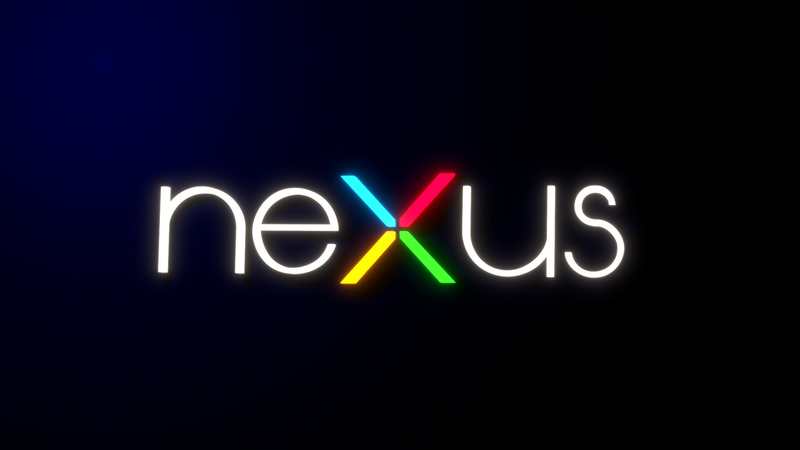 I've talked about this before, so I'll keep this section brief, but there is value in the Nexus brand. While the brand has taken on a new meaning more recently as an option for those who want stock Android, the original and enduring mission of the Nexus brand is as a developer/manufacturer reference device. Ever since the Nexus One, Google has used the Nexus brand to point the way for hardware manufacturers when it came to certain features that Google wanted to be more ubiquitous in the Android ecosystem. Google has used the Nexus brand to push features like faster processors (Nexus One), NFC (Nexus S and newer), soft keys (Galaxy Nexus and newer), and high-res tablets (Nexus 10). Plus, the Nexus brand (with the notable exception of the Q) holds weight in saying this is a product that Google supports, and will continue to support. Google TV needs that stamp of approval, instead of just being something of an afterthought at Google I/O. Google TV has already been sneaking into more and more living rooms, especially since it is integrated more and more into various smart TVs. But, the platform still doesn't have that killer hardware or the killer software to give it traction with consumers. Many of the third-party Google TV options come in at reasonable prices, but do so at the cost of better performance and better future protection on the internals. Google has already shown with the Nexus 7 that it is willing to sell hardware at cost. Combine the potential of Nexus TV hardware with the software plans that Google unveiled for it during Google I/O this year, and suddenly you have a very compelling product. The update to Jelly Bean could help to bring a number of much needed improvements to the platform, and just a bit more focus and support from Google could be all the platform needs to get users and developers more excited about the product. At the very least, there seems to be little to no reason why Google would need to build separate hardware for a game system or a new Nexus Q when there are Google TV products that are already on the market at affordable prices (my Hisense Pulse was just $80), and already hooked up to home theater systems. Rather than splitting efforts and creating new hardware, Google just needs to support what it already has and use the Nexus brand as it was intended to be used: to show the path ahead for third-party manufacturers. Ultimately, maybe the question I pose in the title isn't quite accurate. It shouldn't really be a question of if the game console and Nexus Q are the same thing, but rather if those two ideas should be the same thing and used to lift up the struggling Google TV idea. And, I see no good reason why the answer should be 'no'. That would be the coolest thing! Screw apple TV! and regarding google gaming console, that would be the dumbest thing!! do you know why they want to build a gaming console? I don't but it's Google so they might have a few tricks up their sleeves. Standardize controls for remotes, the ability to play games on the tv as well as phone, multiplayer, attract more developers and if it's already incorporated into Google tv it's just a huge added bonus. There are a of reasons why Google should be considering this. Also and more importantly. There's money to be made here. Michael I think you're right. Thats where the 'K' build will come into play. It's been supposedly leaked that the intention is that it will be a flexible lightweight OS also destined to head to the beginning of a generation of smart appliances. That would include the TV -- probably forked a bit as usual. Perhaps by themselves, or by the specific manufacturer. Perhaps the Nexus Q will have it's previous functions and more, acting as a mediator, to link it's functions in the living room to the 'net TV. For the right price... I'm in. This is why I keep wondering how Google missed the boat with Playstation 4. They already have a great hardware partner for Gtv in Sony, and Sony has a business model that Google could expand. PS Vita isn't doing so well. Change the architecture and make it run android as a base. Sony already makes google tvs and set tops, so build it into your PS4, and you have an instant link to every android user under the sun, a new arena of low cost android games to sell through a tied in google play/PS Network. Clearly there would be some overlap of servies since Sony wants ppl to buy movies tv shows etc through just their PSN portal, but c'mon, how did they not do this? They, like Samsung need to protect themselves and ensure a future where they can survive. If they hitch too much of what was once their best performing division with Google, it creates uncertainty. This is why the PSV was designed to play nicely with the PS4, with their unique OS and ecosystem. They have decades of experience in the games industry, and they won't just toss all their eggs into Google's basket. Just like Apple, Microsoft, and Google have their large and ever growing streamlined services, Sony has to have theirs. They're starting with their strongest point -- games and general entertainment.